The Lakeshore Park Board and Mayor Madeline Rogero announced today that Scripps Networks Interactive has donated $3,000,000 to Lakeshore Park for the construction of a new scenic overlook at Lakeshore Park to be named in honor of pioneering home and garden cable network HGTV. 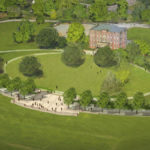 Haslam said the project will be located in the center of the park, on the hillside below the historic administration building. The announcement was made from the project site. The view from the site is considered one of the most spectacular views in the City of Knoxville. It includes the special events field and lawns at the park and continues along the Tennessee River toward the Great Smoky Mountains. The vista includes Chilhowee Mountain in the middle distance and some of the highest peaks of the Smokies, including Mount LeConte at 6,593 feet and Clingman’s Dome at 6,642 feet. 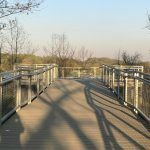 The site is already popular with park visitors, who can watch the sun rise over the Smokies or have lunch while enjoying the view. The new facility will include seating areas and other architectural improvements on the upper level, with terraced gardens leading to the fields below. The HGTV project will be designed by Thomas Woltz of Nelson Byrd Woltz Landscape Architects, a 45-person firm with offices in Charlottesville, Virginia, and New York City. The firm has designed major public parks across the United States, Canada and New Zealand, including Memorial Park in Houston, Hudson Yards in New York City, the Aga Khan Garden in Alberta, Canada and three parks in Nashville, including the new master plan for Centennial Park. The firm is known for its innovative design and its commitment to environmental stewardship. The project is scheduled for completion in Summer 2019. Scripps Networks Interactive is a leading developer of lifestyle content in the home, food and travel categories for television, the Internet and other platforms. Its HGTV network has been based in Knoxville since it went on the air in December 1994. Scripps’ lifestyle portfolio includes HGTV, DIY Network, Food Network, Cooking Channel, Travel Channel and Great American Country, which collectively reach more than 190 million consumers each month. Scripps Networks has over 1000 employees in the Knoxville area and over 3500 employees worldwide. Lakeshore Park is the most utilized public green space in Knoxville. The park’s 185 acres welcome hundreds of thousands of visitors each year who use its walking trails, athletic fields, playgrounds, farmers market, event spaces and open green areas and enjoy the river and mountain views. 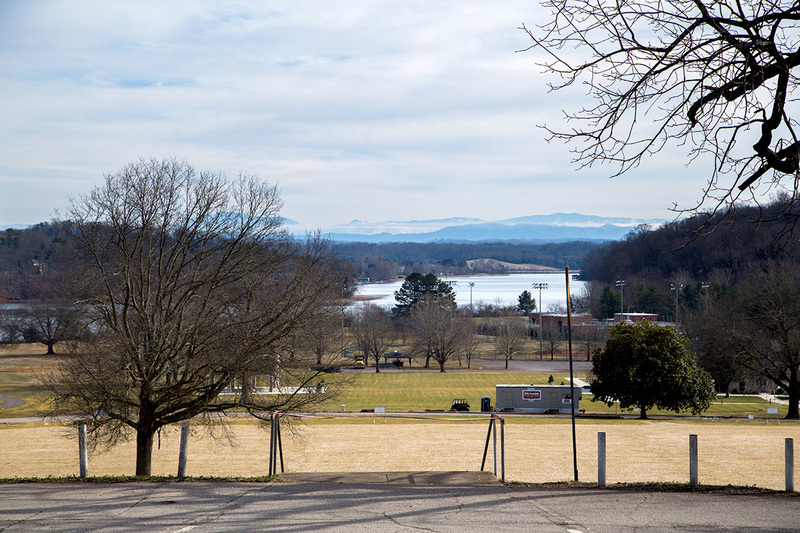 Lakeshore Park is a non-profit Section 501(c)(3) corporation that manages construction and operation of the 185-acre park on behalf of the City of Knoxville. 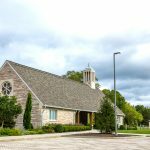 Funds contributed to Lakeshore Park’s capital campaign and annual fundraising programs go toward improvement of the park and enhanced maintenance of the park facilities and landscaping. Scripps Networks Interactive, Inc. (Nasdaq: SNI) is one of the leading developers of engaging lifestyle content in the home, food and travel categories for television, the Internet and emerging platforms. The company’s lifestyle media portfolio includes leading TV and entertainment brands HGTV, Food Network, Travel Channel, DIY Network, Cooking Channel and Great American Country. Its digital division Scripps Lifestyle Studios creates compelling content for online, social and mobile platforms. International operations include TVN, Poland’s premier multi-platform media company; UKTV, an independent commercial joint venture with BBC Worldwide; Asian Food Channel, the first pan-regional TV food network in Asia; and lifestyle channel Fine Living Network. The company’s global networks and websites reach millions of consumers across North and South America, Asia-Pacific, Europe, the Middle East and Africa. Scripps Networks Interactive is headquartered in Knoxville, Tenn. For more information, please visit scrippsnetworksinteractive.com. Over the past two decades of practice, landscape architect Thomas Woltz has forged a body of work that integrates the beauty and function of built forms with an understanding of complex biological systems and restoration ecology. As principal of Nelson Byrd Woltz Landscape Architects (NBW), a 45-person firm based in Charlottesville, Virginia, and New York City, Woltz has infused narratives of the land into the places where people live, work and play, deepening the public’s enjoyment of the natural world and inspiring environmental stewardship. NBW projects create models of biodiversity and sustainable agriculture within areas of damaged ecological infrastructure and working farmland, yielding hundreds of acres of reconstructed wetlands, reforested land, native meadows and flourishing wildlife habitat. In the founding tradition of landscape architecture, NBW is committed to aesthetic and environmental excellence, social commitment and innovation. The firm has been instrumental in steering landscape architecture towards integrated, ecologically performative design, relying on science based methodology and collaboration with a wide range of systems experts. NBW has dramatically expanded the traditional role of landscape architecture into the areas of restoration ecology, urban planning, civil engineering, and agriculture. In the past two years, NBW has been entrusted with the design of significant public parks and cultural institutions in the United States, Canada, and New Zealand, placing 30 years of design innovation in greater service to the public realm. For more information, please visit http://www.nbwla.com/.